Len and Angie with Board members of the ministry; Paul and Cindy Cobb. During the Sidewalk Prophets event prep. 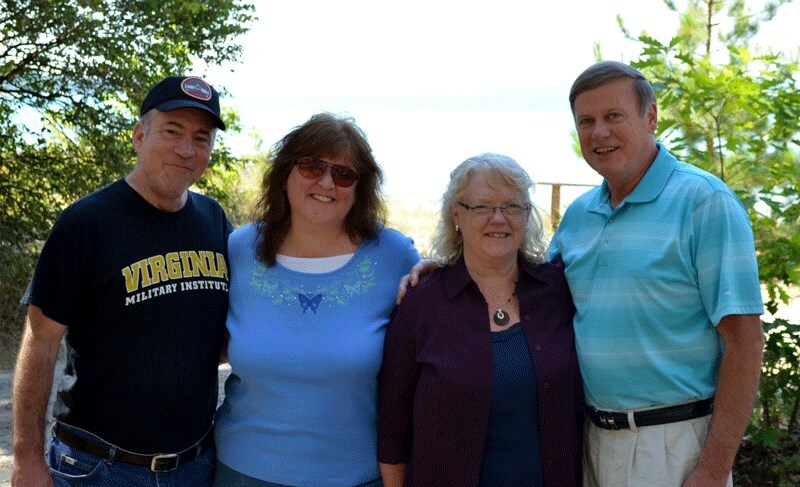 What an awesome time we had with dear friends of ours Paul and Cindy Cobb from PA. It was an awesome 2 days of Food, fun, prayer, and fellowship before the Sidewalk Prophets Benefit Concert. My, what a time of refreshing. Due to the tremendous amount of material to go through and prepare we are postponing our ministry Announcement until a later date after we do the concert updates….. This entry was posted in Activity at home, Status Update and tagged Angie Paxton, Bible, Christian Music Festival, Christian Rock, Christianity, Church, Cindy Cobb, Faith, God, Good Works, Grace, Great music, Hit songs, Holy Spirit, Jesus, Len Paxton, Pastoral Care, Pastors, Paul Cobb, Religious music, Sidewalk Prophets, Victory. Bookmark the permalink.